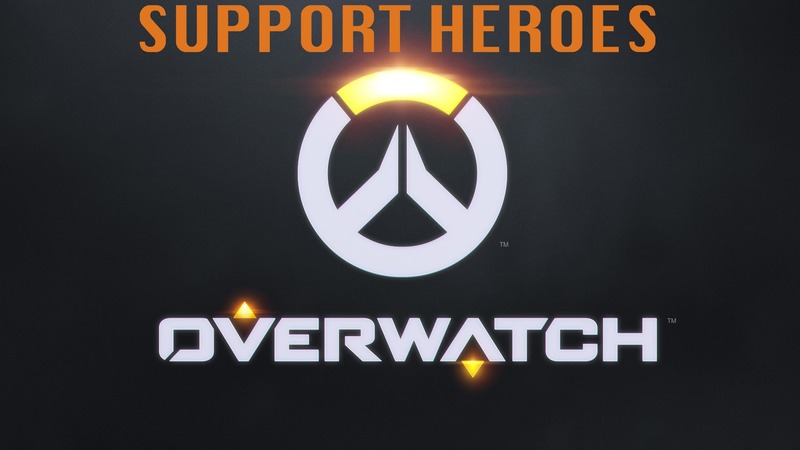 If you see yourself being a hero that is best empowered to help their fellow team mates through healing, shielding, giving boosts to damage and keeping the team afoot – then try some of the following support heroes in Overwatch. Overwatch Supporters are generally weaker in solo combat, but provide incredible utility to their teams through healing, damage boosting, shielding and a host of abilities that can teleport players, dramatically increase team movement speed and even resurrect fallen team mates. Support provides much needed sustain for offense and tank characters and a good support can keep your team alive. Lucio is an international celebrity who fights for social change through his music and actions. On the battlefield, Lúcio’s cutting-edge Sonic Amplifier buffets enemies with projectiles and knocks foes back with blasts of sound. 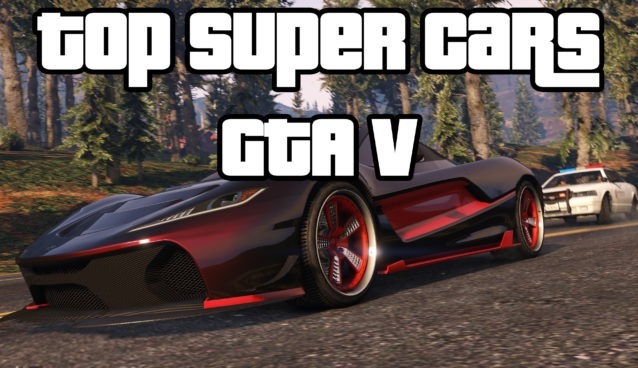 His songs can both heal his team or boost their movement speed, and he can switch between tracks on the fly. This is a support character that best specializes in area of effect damage. 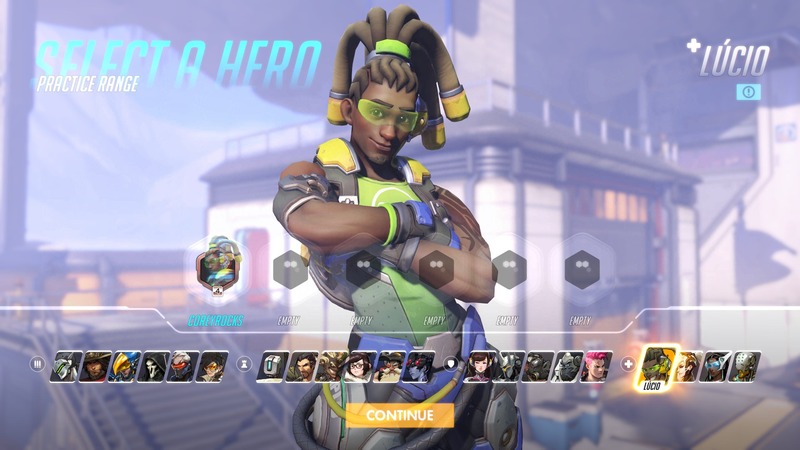 Lucio is fast and can heal the entire team or make them all faster – he can be used in both a defensive and offensive types way depending on either your play style or team dynamic. Lucio’s weakness though is that he relies heavily on speed, but can’t dish out too much damage. Lúcio can hit his enemies with sonic projectiles or knock them back with a blast of sound. Lúcio continuously energizes himself—and nearby teammates—with music. He can switch between two songs: one amplifies movement speed, while the other regenerates health. 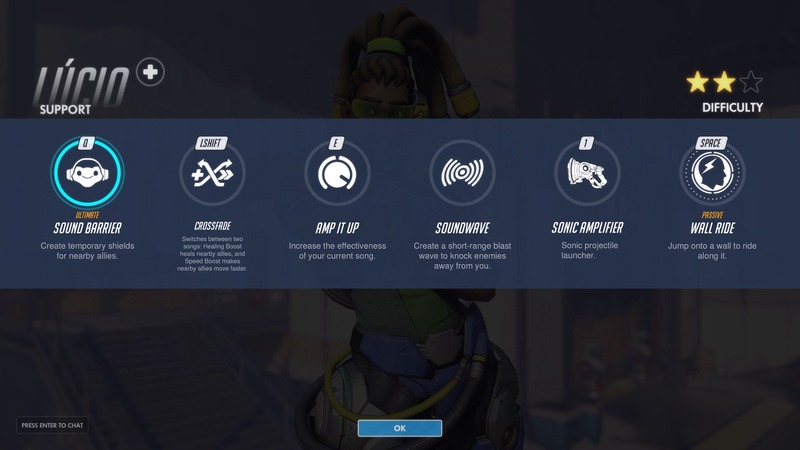 Lúcio increases the volume on his speakers, boosting the effects of his songs. Protective waves radiate out from Lúcio’s Sonic Amplifier, briefly providing him and nearby allies with personal shields. Mercy a guardian angel, peerless healer, brilliant medical researcher, and staunch advocate for peace. 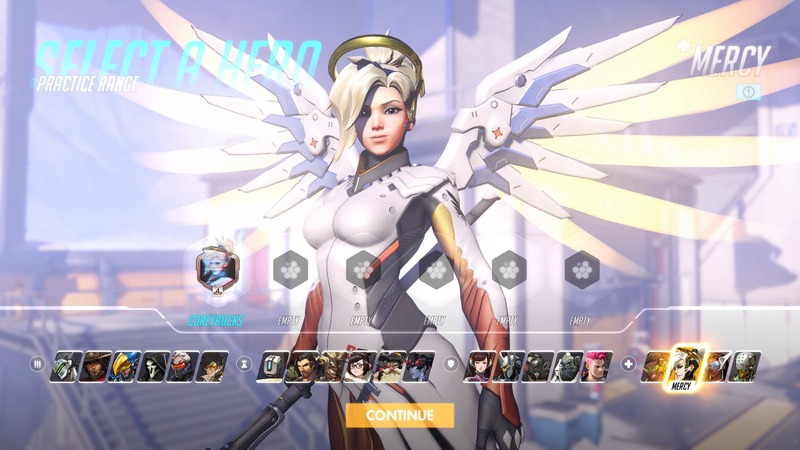 Mercy’s Valkyrie Suit helps keep her close to teammates like a guardian angel; healing, resurrecting or strengthening them with the beams emanating from her Caduceus Staff. 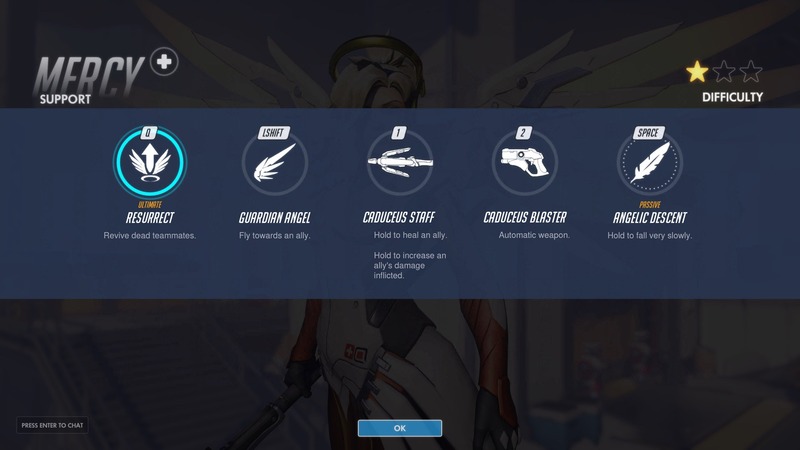 Mercy is a support character that offers powerful heals and buffs to her team. Her main weapon can be switched from a strong heal beam that constantly heals one target, to a damage buff increasing the damage that target does. Her ultimate is a mass revive, allowing her to get the entire team back up to fight again in the middle of a huge fight. Due to her great skills, Mercy is a great support to bring into combat, whether defensively or aggressively. Symmetra is an architect who manipulates hard-light constructs to build her perfect, ordered world. Symmetra utilizes her light-bending Photon Projector to dispatch adversaries, shield her associates, construct teleportation pads and deploy particle-blasting Sentry Turrets. 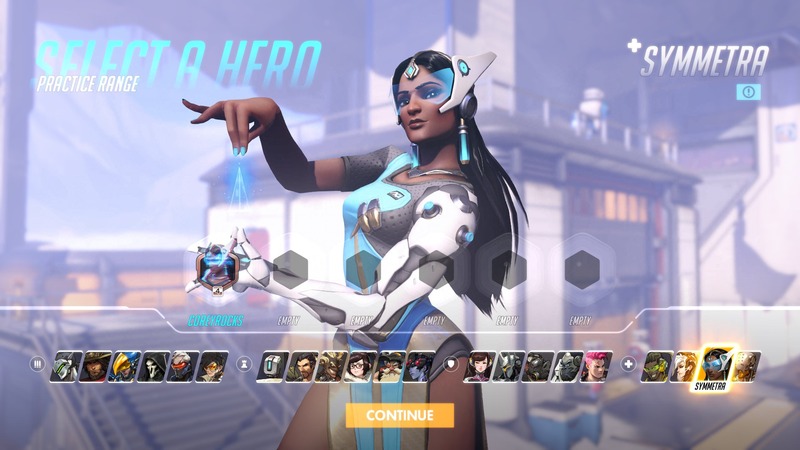 Symmetra is best used as a mobility and defense support character – Her skills allow her to lock down a specific location, making her great during defensive based maps. She can also buff allies with a small shield, and her ultimate allows people to immediately teleport from their respawn location back into battle. 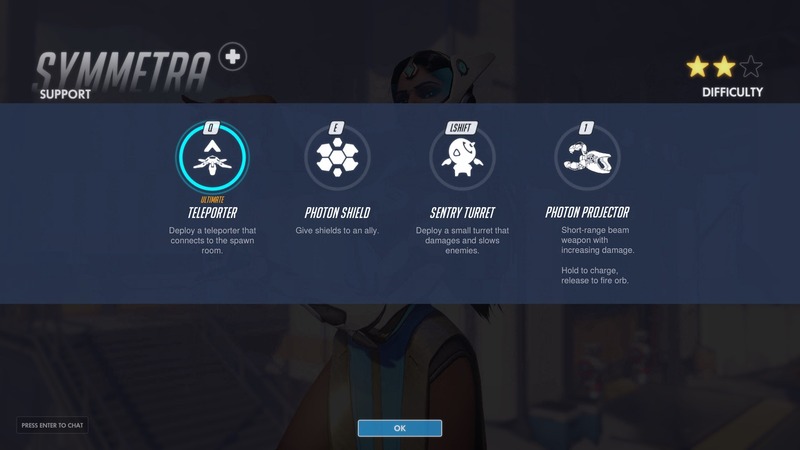 Symmetra’s weapon emits a short-range beam that homes in on a nearby enemy, dealing continuous damage that increases the longer it is connected. The projector can also release a charged energy ball that deals high damage. Symmetra sets up a small turret that automatically fires speed-reducing blasts at the nearest enemy within range. Several turrets can be built on the battlefield at once. Symmetra surrounds an ally with a hard-light shield that absorbs damage and persists as long as that ally remains alive. Symmetra places a teleporter exit pad at her current location, and connects it to a teleporter entry pad at her team’s starting point. Allies can travel through the entry pad to the exit pad instantly, enabling them to return to the fight swiftly after being defeated. Zenyatta is a monk who wanders the world in search of spiritual enlightenment. 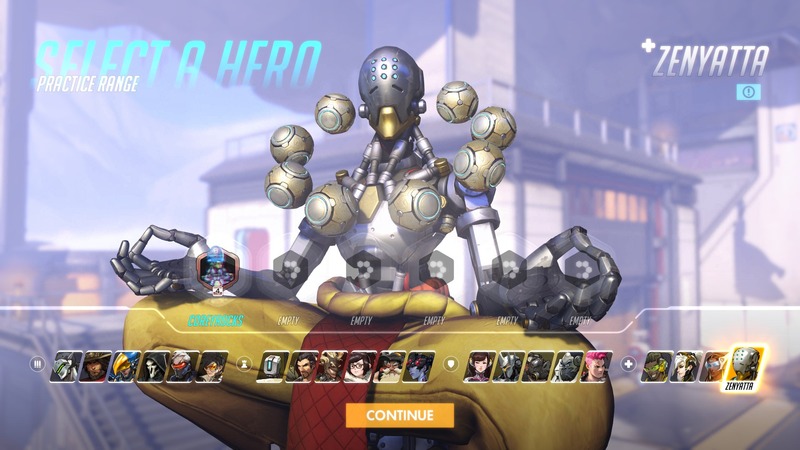 Zenyatta calls upon orbs of harmony and discord to heal his teammates and weaken his opponents, all while pursuing a transcendent state of immunity to damage. 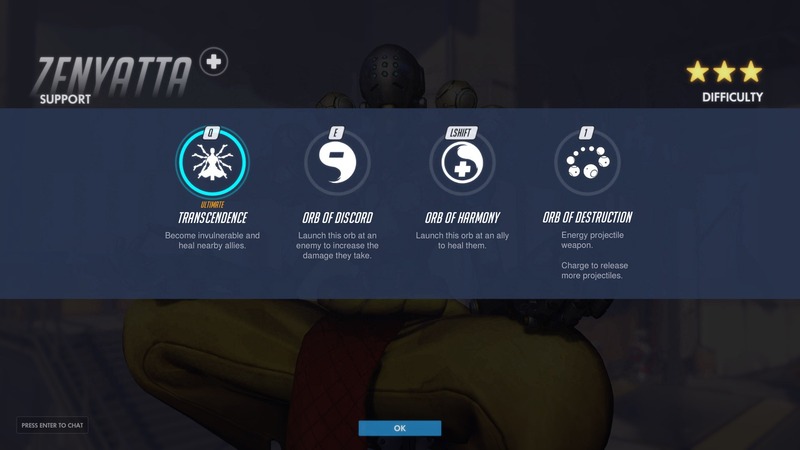 As a primary weapon Zenyatta uses his orbs which are highly accurate, but don’t deal too much damage, but do allow the team to heal and increase their damage as a whole. He can also massively heal the group with his ultimate ability. This can be a tough Support character to get used to. Zenyatta casts an orb over the shoulder of a targeted ally. So long as Zenyatta maintains line of sight, the orb slowly restores health to his ally. Only one ally can receive the orb’s benefit at a time. Attaching the orb of discord to an opponent amplifies the amount of damage they receive for as long as Zenyatta maintains line of sight. Only one opponent can suffer the orb’s effects at a time.